Some roads can flood after the rain. 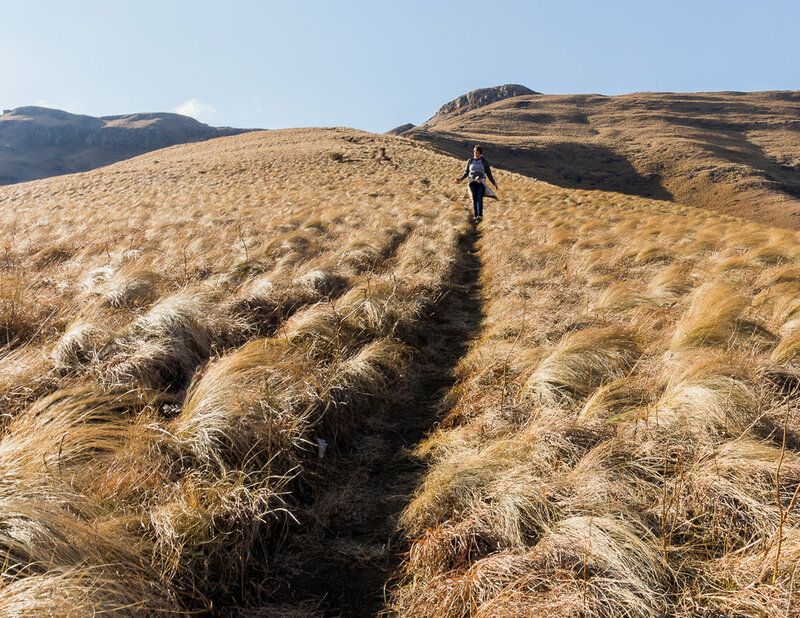 Golden Gate highlands National Park is famed for its dramatic views of the surrounding Drakensbergen and Maluti mountains and it is a paradise for the adventeruous hiker. It encompasses a multitude of different habitats that are home to small herds of grazers. However this park is not about the wildlife, but more about the dramatic landscape! Golden Gate Highlands National Park straddles South African's border with Lesotho. With most travellers coming from either Johannesburg or Cape town it is best to head for Bloemfontein before taking the N5 towards Bethlehem. Bethlehem is also the best place to buy your groceries and other supplies. The nearest town of Clarens is quite small and its supermarkets have less on offer. After Clarens the way to the park is simple. You jsut follow the R712 that heads east. This road will take you through the entire national park and its free! You will pass the Suger&Cinnamon roadside restaurant, which is nice to visit during your time in the area. The park boasts several options for accommodation. We opted to camp and therefore stayed in the Glen Reenen Rest Camp. The park also has self catering cabins and a fully fledged hotel. We stayed at the Glen Reenen Rest Camp for the entire time that we visited the park. We had a great view of the mountains right from our campsite and at night we could count thousands of stars. Each campspot has a level concrete platform so you can park your caravan, car of camper on a level plain. The park has several hiking trails. The wodehouse is about 11 km and starts right at the camp but others are much shorter and also start at the camp. The Wodehouse trail takes you right across a large section of the park and requires some seriuous hiking. We hiked it on our 2nd or 3rd day in South Africa and we had not adjusted to the altitude and took to little food and water with us so we found it very hard going. It took us about 6 hours to complete the trail. The hike though takes you through beautiful terrain and you can even spot wildebeest and other antelope species during the hike so keep youre eyes scanning that horizon. Golden Gate Highlands isn't called highlands for nothing. The park is close to Lesothu, the country with the highest average altitude in the world, so you can imagine it can become quite cold. We visited in july and had quite severe frost during our time there. We found that our water was frozen solid in the morning and the condens in the tent froze over during the night. So better to be on the safe side and take some extra blankets with you. A side note with regards to camping is the everpresent pack of baboons. Those animals are smart and hungry enough to open the zipper of a tent or open a cardoor. So keep food out of sight and in airtight containers. We locked our tent with a small lock when we were away from our tent. We were glad we did, when we witnessed babboons prising open heavy trash containers. 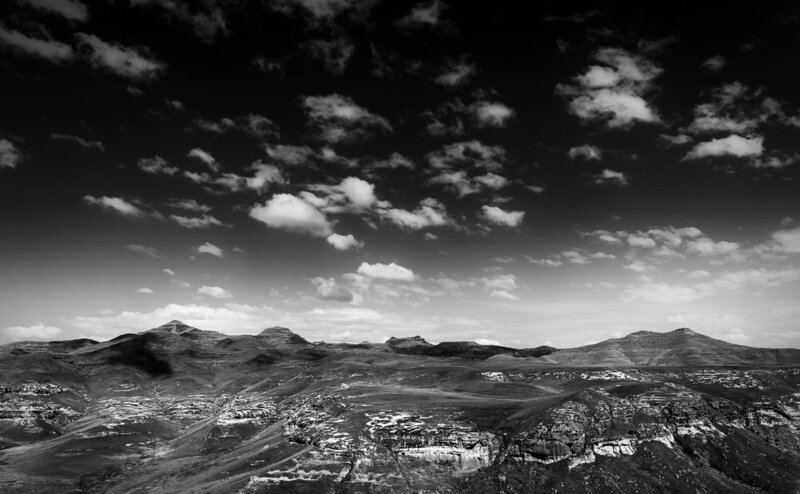 The main attraction of Golden Gate Highlands National Park is the sheer beauty of its dramatic landscape. The sand cliffs surround you on all sides and particular bluffs even have names such as Brandwag or Mushroom rock. These rocks can all be visited by hiking there and there are guided hikes available for those interested in the history of the area. Besides the dramatic landscape there is also a special kind of restaurant in the park: A vulture restaurant. Here cadavers are left for the vultures. There is a hide next to the restaurant so you can get a great view of the vultures having breakfast, lunch or dinner. On our visit we didn't see the any of the vulture species at the restaurant. However we did see them during our hike. The park is home to the rare bearded vulture as well as other vulture species and migratory bird species are present from November to April. The wildlife on offer is consists mostly of several antelope species such as black wildebeest, zebra, blesbok, reedbuck and steenbok. Most of these tend to remain on the flatter sections of the park and thus away from the several roads. So to see those animals you have to get your boots out and start hiking. The vulture restaurant is probably the best place to look for vultures, however we didn't get to see them when we were there. The flatter eastern section is disected by the R712, and from the road you have an unintterrupted view of a plateau. So that is most probably the best place to see the bigger game species from the comforts of your car. The park has no predators present and is therefore safe to hike in. Landscape photographers can go wild in the park. The name Golden Gate Highlands National Park derives it's 'Golden' name from the soft golden light that seems to eminate from the sandrock cliffs during sunset and sunrise. The landscape offers dramatic views of mountains. The best places to photograph are found along the many hikes so bear in mind that you have to carry all that equipment up and down a that mountain. 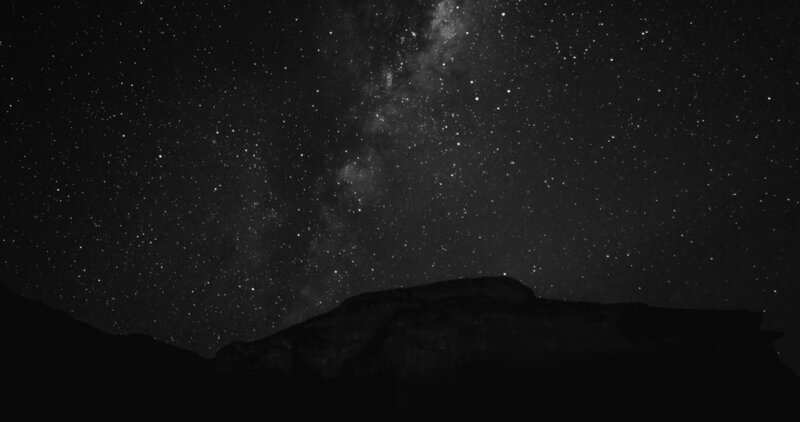 The park is also extremely well suited for astrophotography as the mountains block a lot of the light pollution from nearby cities, and the altitude means generally a lower temperature which helps with cooling the camera and less atmospheric disturbance between you and those beautifull starry skies.